President Trump talks a lot about moving to what he calls a merit-based immigration system. PRESIDENT DONALD TRUMP: One that admits people who are skilled, who want to work, who will contribute to our society and who will love and respect our country. INSKEEP: Just this past weekend, the Trump administration announced regulations that would deny green cards to immigrants who use public aid such as food assistance. At the same time, the administration is also making it harder for high-skilled workers to come and build lives in this country, as NPR's Joel Rose reports. JOEL ROSE, BYLINE: Neha Mahajan loves her job. NEHA MAHAJAN: Hello, and welcome to "Center Stage." I'm your host, Neha Mahajan. ROSE: Mahajan hosts and produces a talk show in Edison, N.J., targeted mainly at Indian expats like her. MAHAJAN: This is the kind of work I always wanted to do, and picking up topics that typically don't get talked about in the South Asian community. So I am trying to be a change-maker within my community. ROSE: But Mahajan could lose her right to work in the U.S. because the Trump administration is poised to kill the program that gave her a work permit. Mahajan has a master's degree in English literature and worked as a journalist in India. It never occurred to her that she would have trouble finding opportunities here. MAHAJAN: So here I am in U.S., the most advanced nation on this earth, but I'm in a cage. (Laughter). A metaphoric, golden cage. ROSE: Mahajan moved with her husband and daughter to the U.S. in 2008. He had secured a coveted H-1B visa to work as a software developer, but she was not allowed to work when she first got here. That is, until the Obama administration introduced a new program in 2015 that allowed the spouses of H-1B guest workers to get a work permit if they're already on the waiting list for a green card. Now the Trump administration says that was an overreach. FRANCIS CISSNA: For me, one of the main reasons for proposing to rescind that is because I don't think that Congress intended for the spouses of H-1Bs to work. ROSE: Francis Cissna is the head of U.S. Citizenship and Immigration Services, the agency in charge of legal immigration. Cissna did not respond to requests for an interview, but he did give one last month to the Center for Immigration Studies, which favors lower levels of immigration. CISSNA: Everything that we do is guided by the law. That's all we're doing. ROSE: The Trump administration says the U.S. should focus on bringing in immigrants who speak English and are highly educated. But critics say that rhetoric is at odds with the administration's actions, that the administration is actually making high-skilled immigrants' lives harder in all sorts of ways. It's gotten tougher to get or renew an H-1B visa. That's a program that brings in tech workers, doctors and other professionals. And the administration is getting rid of other visa programs altogether. DOUG RAND: Show me any policy that's come out so far that has actually made it easier for highly skilled immigrants. I haven't seen any. ROSE: Doug Rand worked in the Obama White House. He's one of the architects of another program the Trump administration wants to kill, the International Entrepreneur Rule. RAND: This was designed for entrepreneurs from other countries to more easily come the United States or stay in the United States, build companies here, create jobs for U.S. workers - seemingly uncontroversial. ROSE: All of this has infuriated corporate America. CEOs from Apple, Pepsi and other U.S. companies say the administration is scaring away high-skilled workers, and that could hurt the economy. Dean Garfield is the president of the Information Technology Industry Council. DEAN GARFIELD: What the administration is saying is we want to make it difficult for companies to employ anyone who is not an American citizen. ROSE: But the head of Citizenship and Immigration Services Francis Cissna dismisses that. CISSNA: The idea that we are intentionally, mischievously, impishly, malevolently trying to build an invisible wall on purpose because we don't want foreign workers to come is false. 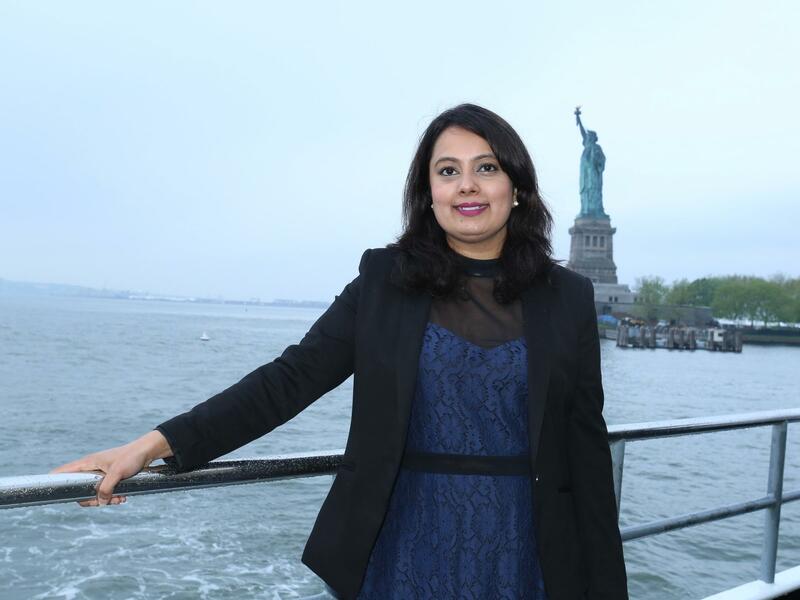 ROSE: Nonetheless, immigrants like Neha Mahajan wonder whether the administration is really serious about merit-based immigration. MAHAJAN: I don't know what to think. Hypocrisy, maybe? (Laughter). They want us to stay. They don't want us to stay. Why put people's lives into a limbo? ROSE: Mahajan and other spouses are pushing to save the Obama-era program that allows about a hundred-thousand of them to work. The Trump administration is expected to announce the official end of that program any day. Joel Rose, NPR News, New York. Transcript provided by NPR, Copyright NPR.